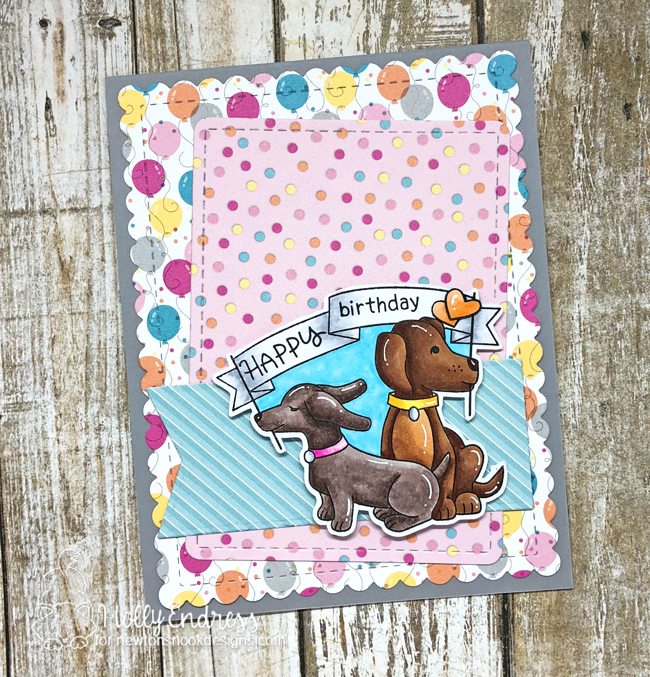 I created a background with the Frames and Flags Die set from Newton's Nook Design and some papers from Doodlebug Designs. Then I adhered the pieces to a Grey top folding card base. I stamped the image onto some X-Press It blending cardstock and then I cut it out with my Scan n' Cut. 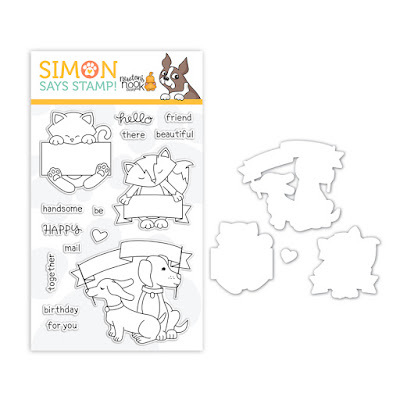 There are coordinating dies available at Simon Says Stamp. I colored the image in with Copic markers and then I adhered with some foam tape. I added some highlights with a White Gel Pen. This is such an adorable set and so many fun sentiments to mix up!! I hope you liked my project today using this new exclusive set. 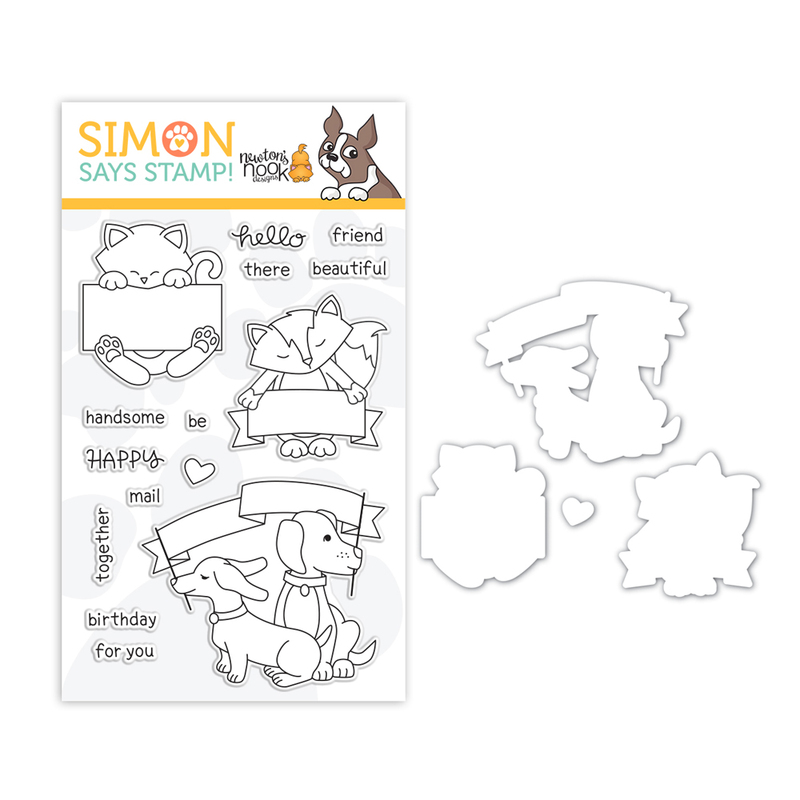 Remember, you can only get this design at Simon Says Stamp while supplies last! The whole Newton's Nook Designs Team was also able to play along with this new set! Such a cute card. The two dies are My favorite of the set! How stinkin cute is this card!? 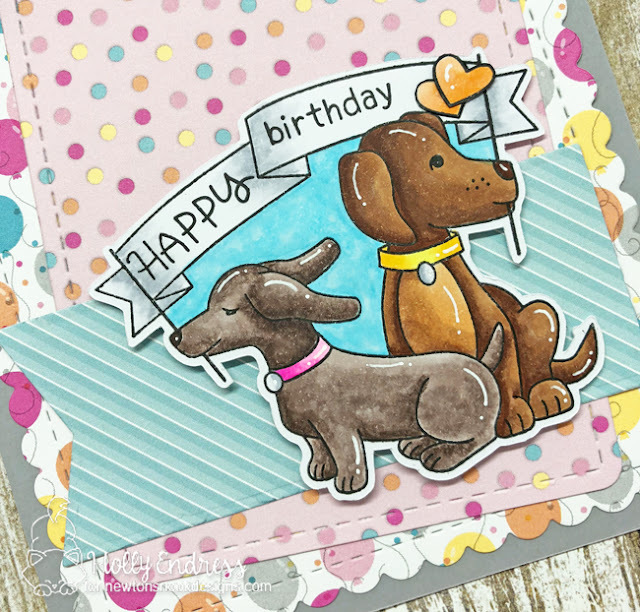 Loving the fun patterned papers, and your coloring is simply aweseme!